If you want to get bookings on your hotel’s website, you need people to visit your site. These people can come from different places, however one of the best sources of website traffic, are search engines. This is because people that find websites through a search engine are much more likely to use their credit card and make a booking. In this article, you’ll read a summary of what I’ve learned from my years of technical SEO consulting. Don’t let “summary” fool you, you’ll need a big drink by your side to get through this one, but I promise it will be worth your time! In this post, we’ll discuss how you can use SEO for the hotel industry in great detail. “Hotel SEO” is the search engine optimization of hotel websites – it is the process of improving a hotel’s website with the goal of increasing the amount of people that search engines such as Google will send to your site, thanks to a high ranking on a search engine results page (SERP). You’ve probably heard of people say “the top of page 1 on Google” – that is a top ranking on a SERP. Improving a hotel’s website for SEO can seem complex, but the process can be simplified by focusing on some key “high value” elements which we will cover. Though hotel SEO can be dangerous for beginners to embark upon (pro tip: if you are buying 1000’s of “quality links” for a few hundred dollars, stop now! ), you do not need to be a black belt in any sort of shady dark arts either. Search engine optimization is more about sticking to a consistent, seemingly boring, often slow process for an extended period of time than doing something huge which gets results overnight. But this in itself is the opportunity – most businesses don’t have the stamina to get the most out of SEO – so this huge sales channel is likely yours for the taking if you’re willing to commit. Let’s take a look at how search engine optimization can help your hotel’s website. Users are people that view your website. Users spend time on your website in a session, where they can view one or more pages, known as a pageview. In a more general sense, a lot of users combined are often referred to as traffic. In a similar sense to driving, where you can have a lot of cars (users) on a certain highway creating traffic – users are grouped by channels of traffic. As far as channels of traffic goes, they aren’t all the same. We’ve already discussed how social media marketing for hotels can really move the needle. Email marketing can do extremely well if you have a list of guests that have given consent for you to contact them. Paid search such as Google AdWords can generate good returns, though this comes at a significant ongoing cost and depends on competition in your market. Referral traffic from other websites can be seen as very trustworthy so it’s good to have, though often hard to get enough of to make a real difference. 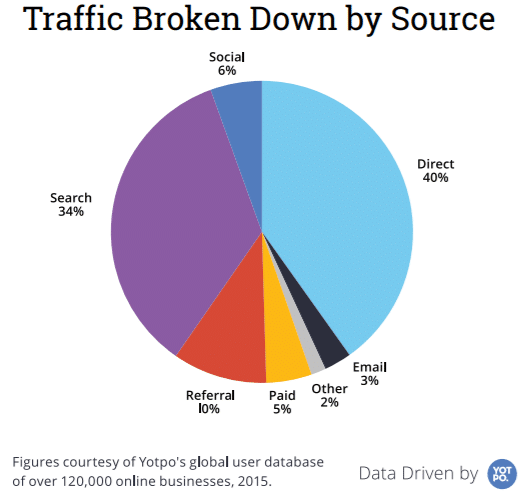 Direct traffic is great, but it’s very hard to quantify. Direct traffic is a label for people that access your website directly – they have typed in your URL directly. Maybe they called your hotel and you told them “if you book through the website you will get the best deal”, or they are a regular guest who remembers your hotel website URL. It can also be used to describe sessions where, for whatever reason, it’s not possible to find out where that person came from – maybe they still came through search, maybe it was a social media app, but for whatever reason, your analytics tool doesn’t have that data. This leaves our friend organic search engine traffic. What Is Organic Search Engine Traffic? Often there are some subtle differences in the terminologies that search engine optimizers use, but essentially we’re talking about the same thing; people who discover your website after searching on a topic in a search engine. Why Is Organic Search Traffic So Good? Once you turn on the tap it is free or at “worst” cheap traffic for the foreseeable future. This is sometimes called evergreen – it may take some time to grow, but it continues to grow year on year. Users with the right intent will find your website. That is, they are intending on visiting either your hotel or the city where your hotel is, and are therefore more likely to become a paying guest. Organic search engine traffic tends to convert better than any other traffic source, outside of direct traffic. Compare this with website banner ads or even more traditional print advertising, where you are literally hoping that your ad is persuasive enough to get the reader to book a stay at your hotel. Attribution of direct traffic is improving over time though, so don’t be surprised if your site sees less conversions from direct traffic. 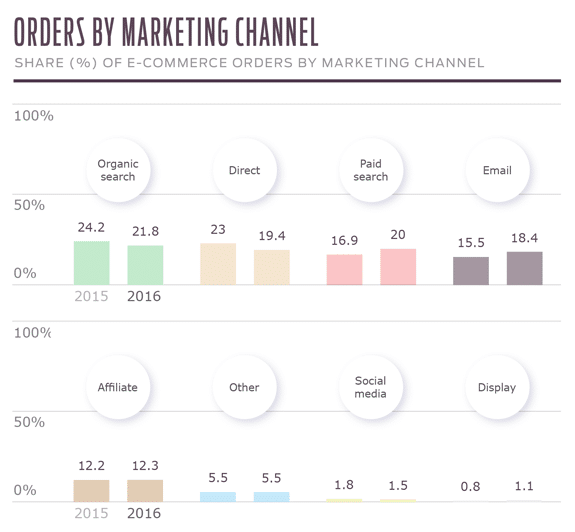 This can be seen in Custora’s 2016 findings, where direct traffic decreased and uptake of paid search and email both increased. So, now that we know the benefits of search engine optimization for your hotel’s website, let’s get stuck into how you can do it. Search engine optimization is broken up into a lot of different components, so I’ll do my best to keep everything bundled together here. There is some cross-over however, so learning each of the individual concepts can be helpful for properly developing your hotel’s SEO strategy. Do you remember visiting a website on a dial-up modem and discovering a heap of invisible text at the bottom of each page? Yeah, those days are long gone. When it comes to keywords, you need to forget everything you know and go back to basics. What is a keyword? A topic. Any SEO that takes pride in their craft knows that keywords don’t matter how they used to – instead they are an amazing tool to help shape the content that you produce. We start with keyword research. There are a myriad of tools you can use for this, but let’s start simple. Install and follow the instructions to set up the browser extension “Keywords Everywhere“. Now, when using Google (and many other sites), you will see an estimated “search volume” for each keyword. 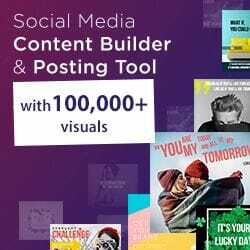 By using this tool, you now have an insight into how many people are looking for the sort of content your marketing team are thinking of creating. This content could be as simple as what is on your hotel’s home page, a product page showing one of your hotel’s suites, or one of your hotel’s blog posts. This becomes much more valuable at the bottom of of the SERP, where Google will make recommendations on what other users are looking for. This is an easy place to burn hours upon hours researching keywords. This is information that should be taken into account when producing content – not so you can “stuff” these keywords into your content, but instead so you can cover all of the potential topics that users are looking for. As keywords get longer, they become known as “long-tail keywords”. Long-tail keywords are great because they give us a lot of insight into what the user is searching for. Often, this can show the intentions of the user and what they want. Take the example above – say you are a luxury hotel in downtown San Francisco. 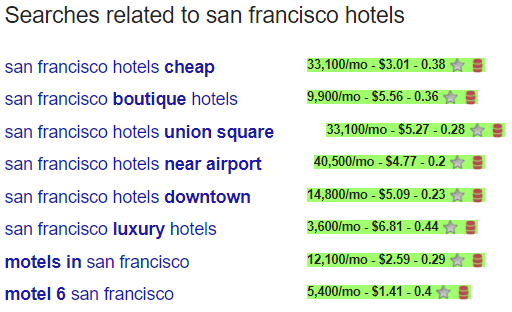 There are 33,100 searches a month that you actively do not want to attract to your website, as they search for san francisco hotels cheap, or the other high volume motel variations. There are however, 14,800/mo for san francisco hotels downtown, and 3,600/mo for san francisco luxury hotels. 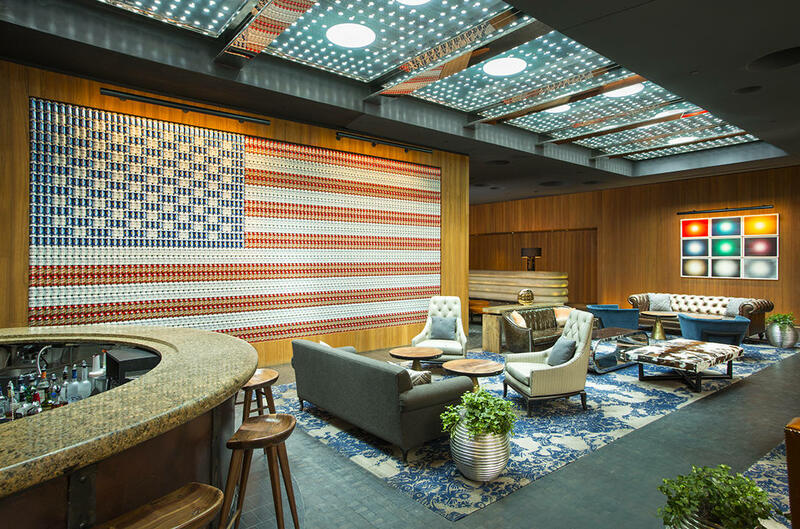 The 9,900/mo of san francisco boutique hotels may also be relevant. Depending on your region and the sort of keywords that users are searching for, you can become very specific here, tailoring your content to exactly what searchers are looking for. An underrated element of keyword research is looking at the potential return-on-effort of any digital marketing efforts. I’ve worked with some incredibly creative hospitality and tourism marketers in the past, and this creativity has really paid off when it comes to using videos in social media campaigns. But this same mindset of “oh, you know what would be a cool idea” doesn’t really work for a hotel’s blog content, where no one will ever find content that they aren’t specifically searching for. Better yet – it can be used to gauge business demand before beginning a hotel’s development. It’s out of the scope for this post, but if you’re interested, I wrote more on using keyword research for business evaluation on my personal blog. Keyword research tools will give you insight into the average number of times each month a keyword is searched for. If you see 0/mo however, it doesn’t mean people aren’t interested in that topic, it may just be that you are using different words than they are – so keep looking! This is where things can become confusing. What is the difference between on-site and on-page SEO? The key is in the words site and page. Hotel web pages have many elements that can be optimized for search engines, and these pages are elements of your overall hotel website. So, on-page SEO is an element of on-site SEO. If that is hard to get your head around, know this: on-page SEO is mostly about content, and how that content is presented both to search engines and to users. Let’s dig into some of the key on-page SEO elements. Back in the day, content marketers used to work hard to rank low value content on page 1 of Google. The problem was, users would visit these websites and either click “back” to Google, or close the window. It was an all-round bad experience for everyone, done in the name of the website owners making a few quick dollars. Then came Google Panda in 2011 – a revision to Google’s search ranking algorithm that penalized a claimed 12% of all search results at the time. The internet has become a much better place since then. You may not have noticed it, but Google is getting better and better at serving up the right content when you are looking for it. Relevant. That is, if it matches the intent of the keyword (which we discussed above), and the keyword is used as a “topic”, you won’t have any trouble here. In-depth. You may have noticed the content on our site is highly detailed and lengthy. There’s a reason for that – we’re hoping you finish reading our post with all of the answers. This doesn’t mean you have to write 10,000 words on every topic – if you can answer a a question completely but briefly that is also ok! Trustworthy. The more your content is seen as a reliable resource of trustworthy information, the better it will rank. This can involve keeping content up to date. Unique. Duplicating content both within one site and from other sites on the internet used to be a classic SEO tactic, but now it’s a sure-fire way to be penalized. User-friendly. Known as user experience, or UX, your content and the site around it should look great for all users, regardless of their location, device or internet connection. A title tag is an HTML element that allows you to tell users what the content of the page is about. Title tags are displayed on SERPS as a clickable headline for the page and are claimed to be the second most important element of on-page SEO, after content. The title tag of a web page is meant to be an accurate and concise description of a page’s content. As the intention is to make your website easy to understand for both users and machines, consistency in how titles are formatted is key. There should only be one title tag per page. In a perfect world, hotel website title tags should be 50-60 characters and accurately describe the page’s content first, followed by your hotel’s name. In this SERP result, you can see the title in blue, our clean URL has been modified by Google to make it even more relevant and a short piece of the post is used for the description. It is very clear to you, the user, that the page will feature blog posts on hotel marketing. Depending on how much content your site features, you should consider using folders to break up your content. Check out Yoast’s post for more on how to structure your URLs. A meta description is a ~160 character HTML tag that summarizes a page’s content. Search engines often show the meta description in search results when the searched for phrase is contained in the description. A good meta description should be unique, concisely describe the page content, and ideally contain a keyword and call-to-action. Optimizing the meta description is a very important aspect of on-page SEO. There should only be one meta description tag per page. The meta keywords tag is a HTML tag where one can describe a series of keywords used to describe a page’s content. It’s been around a decade since meta keywords tags were used by Google, yet we continue to see these on hotel websites today. Some would say this isn’t an issue, but others including the SEO-obsessed crew over at Moz believe it’s now a “negative ranking factor”, meaning Google uses it as a reason to believe your page is spam. Ouch! With this said, if you are targeting audiences on other search networks, it can still have value. Both Yandex and Baidu still use meta keywords tags. My personal preference? If you don’t need them, get rid of them. Image alt text is alternate text that is shown if an image cannot be displayed. Reasons for this may include missing images, slow internet connections, intermittent hosting issues, devices that cannot load images, or for people with visually impairments using screen readers. Aside from improving the user experience, alt text also gives context to search engines, allowing them to index pages and images more accurately. While we want your page content to rank well, it’s also important to remember the power of image search engines, especially in the aspirational travel market. Similar to page titles and meta descriptions, alt text should be descriptive yet concise. Image FOMO: what if the content of this image was really important? Alt text could let you know what you’re missing. Links are the backbone of SEO. Internal links allow you to show Google the structure of your website and the context of your content. By linking from one page to another on your website, search engines can get a better understanding of which pages are most important. Unlike external links, when linking internally it’s possible to use “exact match” keywords for the link (anchor) text. In the interests of keeping this post from reaching book-length, check out this post on internal linking for more info. Get noticed by other websites. Create the most useful content possible, which search engines also happen to love. When you write a quality document for print, there’s an expectation that you use headings to break up the document. After all, if the content looks the same, the reader would find it confusing as to where each section begins and ends. Correct heading hierarchy uses “heading tags”; HTML tags H1, H2, H3, H4, H5 and H6, to organize content into sections. Visually, they improve the user experience, with 52% of internet users navigating using headings. For the longest time, headings have helped with SEO – but it is rarely discussed. Potentially more important in the world of ADA lawsuits are the benefits headings provide to those using screen readers. One of the most common issues with hotel blogging is the use of heading tags for formatting instead of structure. If you are doing your blogging in-house, make sure your team knows how to use correct heading hierarchy. Google is more likely to rank a fast website over a slow one. The outcome is more people will visit your website for “free” through organic traffic. Faster hotel websites see lower bounce rates, meaning less people leave your website after only viewing a single page. Despite a website being faster, users spend more time on it. This is time spent learning about why your hotel is awesome. Improving your load speed can lead to an improvement in your hotel’s website conversion rate. Our testing shows the average hotel website isn’t performing well in Google’s PageSpeed test. Common high value ways of improving your hotel’s website speed is by optimizing images, using high quality hosting with a content delivery network, limiting the use of plugins and redirects and configuring browser caching. What is straightforward to some, is unheard of to others. We’ve been deep in conversations with hoteliers about links, but when we begin auditing their site we discover they don’t even have a sitemap, let alone submit this sitemap to search engines. Most modern content management systems generate XML sitemaps automatically. An XML sitemap is a file that can be used to inform search engines about URLs on your website that are ready to be crawled (leading to being indexed). It’s a very simple file, but it has an important job to do. You can view our sitemap here as an example. Amazingly though, some hotel websites are still completely static, meaning sitemaps usually need to be made manually. What often happens is the sitemap is made manually once and is then an after thought for the rest of its life, becoming very out of date. The other issue on many hotel blogs made with WordPress is a sitemap full of useless pages that create no value. We have a standard policy of limiting the indexing of every single page and instead focusing on quality. Following on from cleaning up your low quality pages on the point above, you also have the option of “noindexing” your low/no quality pages (such as blog post tags). The noindex value of a “robots” meta tag disallows search engines from showing the page in their results. Using a meta tag to do this is growing more and more common, however the traditional way to achieve essentially the same thing was to use a robots.txt file to “disallow” certain pages from being accessed. Please know it’s very easy to hurt your website when playing with noindex tags and robots.txt files, so if you aren’t 100% confident in what you are doing, please reach out to us. Can you believe that 89% of hotel websites aren’t correctly secured? It’s insanity. There’s a whole heap of psychology around selling online – any small factor can turn away a sale. Threaten a potential hotel guest with an insecure website and it’s unlikely they’ll make a booking. There are more benefits to a correctly secured website, but they are out of scope for this post. Check out Why Is Hotel Website Security So Bad? for more details. Schema, or structured data, is code that helps search engines understand specific pieces of data from your website. Schema can be used for any business type and, as positive for anyone optimizing a hotel website, there is a hotel-specific set of markup available. You want these details to match records elsewhere on the internet as we’ll cover below in the Local SEO section. Usually anything past this graduates to being automatically generated, such as individual room features and rates. 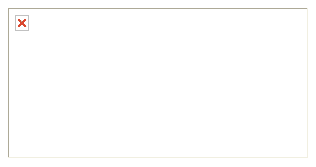 It’s really something that should to be built into your hotel’s booking engine website. Hotel conversion rates are a post in itself (which is why I wrote it) and proper conversion rate optimization, or CRO, is a full time job. If we take a step back from all of the technical stuff for a minute – search engine optimization is about creating the best possible experience for a person. If your hotel website is providing the best experience for a certain type of people, it’s highly likely your site will see more and more organic search traffic well into the future. Similar to other companies, Google has competition. To stay ahead of the pack the company aims to provide the best possible experience to its users. They do this in a number of ways, but as a search engine the most important is giving people the most relevant results possible. Thanks to Google Analytics, Google can see how users interact with your website. If someone clicks on your search result after searching for san francisco hotels downtown, yet when they visit your page it is slow to load, has some broken images, and is actually for a hotel that is so far “down town” it’s in San Jose, they will most likely click “back” straight away. This is known as a “bounce” and Google sees this. Their assumption is that your content is either not relevant for that search term, or the user experience was terrible. This section is for you to consider the effects of a brilliant user experience on your hotel SEO. As website conversions (or bookings, or sales) are the result of a great experience, there is strong link between CRO and SEO. Your hotel’s website conversion rate is not only critical in turning digital traffic into physical guests, it’s a major player in improving user experience and your SEO. Now we come to a lot of the elements that are no longer fully within your control. Off-site SEO, also known as 0ff-page SEO, is used to describe the factors that affect your hotel’s SEO but happen on other sites across the internet. Think of it as “endorsements”. People often leave a review of your hotel after a stay, links are the equivalent of a 5 star review. It’s a dangerous topic. A decade ago, the SEO industry was all about volume and had nothing to do with quality. More links were better than none, so spam was the name of the game. For $100 you could pay some guy with a bot to spam a bunch of websites all around the world. For the greater good of the internet, thankfully those days are long gone. The best links are “dofollow” links. Natural links are like digital gold. You don’t need to do anything and the links come to you naturally. 9 times out of 10 these links come from having a brilliant product or brilliant content. Think about it, if you write the best possible article you can on Mountain Biking in Andorra, chances are other people will link to it. If your hotel has some incredibly unique quality to it, and the world discovers it, they are going to end up talking about it. Natural links don’t require any time from you or your team. Once the content is made, they come to you by way of virtue. More importantly, there is nothing sketchy about them, meaning there is little chance they’ll ever be questionable in Google’s eyes. So, naturally they are the best. The most common type of link building being sold at the moment is manual outreach. It involves contacting website owners and bloggers, asking them to link to pages on your site. Search engine optimizers will regularly do this via email campaigns asking for a link, or suggesting that a certain link may be a good fit for existing articles. Get your domain flagged for spam. Previously the core portion of link building happened in this space – after all, it was easy. Nowadays, however, there’s the risk of building a link profile full of low quality links. It’s not as though these links carry no value – it’s more that when they’re used aggressively they will do more harm than good. If you post a helpful link on a forum in answer to another poster’s question, it’s not going to hurt your website, but understandably if you spam every thread on the site, it’s going to do some damage. Some could debate this fits into the natural links section above, but instead what I’d like to do is create some sort of awareness around how you should be promoting your hotel’s website. Each year you probably engage PR agents or bloggers, attend hotel summits, conferences and awards, travel trade shows and so on. Each of these are an opportunity to get industry relevant links. You can’t always control the quality of these links, but over time there’ll be a recurring theme in where they are coming from (travel-related websites). These probably technically sit somewhere between “natural” and “manual” links and in general (it’s impossible to say without seeing the exact context) I’d think they are worth something. Shares, tweets, comments, likes and so on are known as “social signals”. It’s fairly well accepted among search engine optimizers that social signals help with rankings in Google and Bing, though the official line from Google says otherwise. While social signals haven’t been proven to pull as much weight as high quality links, there is some solid correlation between social shares and search rankings. This doesn’t mean you should go and set up an account on every social media channel out there. Develop a social strategy that is right for your hotel and stick to it. A citation is an online mention of your business’s name, address and phone number, also known as a NAP. Similar to links, Google uses them when evaluating the legitimacy of your business. Remember when I talked about consistency in the schema/structured data section above? This is where it comes in. Citations don’t need links to your business’s website in order to help your hotel SEO. That is, your NAP may be in plain text on a website. Opening hours and so on. What is important here is your Google My Business details, on-site schema, and the citations around the internet should be consistent. Citations and local SEO does go much deeper than this, for more info see: https://moz.com/learn/seo/local-citations. If you’ve read this far, you’re likely the right fit for using SEO to grow your organic search traffic and revenue through direct website bookings. While I am a strong believer in direct marketing and am always on the look out for ways to generate business quickly, there’s huge advantages in using search engine optimization to consistently drive guests to your hotel. Know that doing it right is a long, but worthwhile road. You will make mistakes, but with confidence and persistence it will be worth the effort. You may have picked up by now that we’re very passionate about SEO. If you want help developing a strategy for getting your hotel’s website up to speed, want to talk to us about using blogging to aide your hotel marketing efforts, need urgent help with disavowing a bunch of spammy backlinks, or simply want to talk shop, please get in touch. We’re looking forward to hearing from you!